The U.S. Coast Guard has recovered the body of a woman from the HMS Bounty replica sinking. Claudene Christian, 42, was located by an MH-60 Jayhawk helicopter Monday evening. Her body was taken to Albemarle Hospital in Elizabeth City, N.C. The hospital confirmed the death of Christian to CBC News. 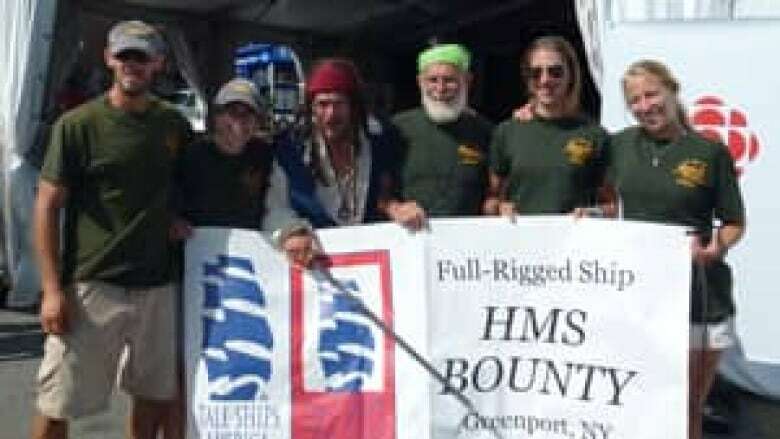 Christian was one of two crew members of the Nova Scotia-built replica vessel who went missing after abandoning ship off the coast of North Carolina in high seas brought on by Hurricane Sandy. 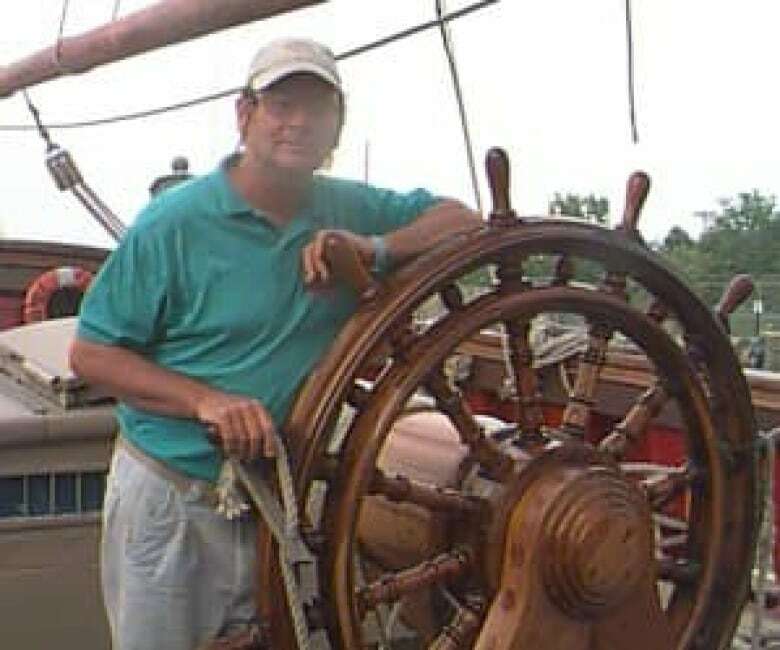 The search for Robin Walbridge, captain of the ship, will continue through the night. Officials with the U.S. Coast Guard told CBC News the 16-member crew of the Bounty decided to abandon ship after getting caught in 5.5-metre seas off Cape Hatteras on Monday. Three crew members were washed overboard as they tried to get to two covered life-rafts, said the U.S. Coast Guard. Only one of the three members made it to the life-raft and was among the 14 people hoisted onto helicopters. Coast guard officials said the two missing crew members — a man and a woman — were believed to be in cold water survival suits and life-jackets. They said the air search is being plotted based on wind direction and speed, and will be expanded. The Bounty sank several hours after the evacuation. The U.S. Coast Guard was originally told 17 people were on the Bounty, but now say 16 people were on board. Officials have spoken to all 14 survivors and say they're all "in good shape." A U.S. Coast Guard MH-60 Jayhawk helicopter arrived on scene at approximately 6:30 a.m. and hoisted five people from the life-rafts. A second helicopter arrived later and rescued nine more people. The U.S. Coast Guard was contacted on Sunday night after the ship began taking on water. A Hercules C-130 aircraft was dispatched to try to get the crew to safety. "We had a C-130 on scene that was running out of fuel and experiencing a little crew fatigue, so we dispatched another C-130 to arrive on scene and relieve them," said Petty Officer 1st Class Jordan Campbell. The Hercules C-130 remains on the scene in the search for the missing crew member. A third MH-60 Jayhawk helicopter is on the way to assist in the search effort, said the U.S. Coast Guard. Officials with the U.S. Coast Guard said the winds in the area are sustained in the 75 km/h range. Claudia McCann, Captain Robin Walbridge's wife, told CBC News she hadn't slept since she received word the ship was taking on water. She said her husband was trying to get around Hurricane Sandy en route to Florida. "He was just trying to avoid it, skirt it. Skirt through it, skirt around it," McCann said earlier on Monday. "I'm sure he's devastated. Absolutely devastated. But the crew comes first and you have to save the crew." CBC News spoke to Claudene Christian, whose daughter was a crew member on the Bounty, Monday morning as the rescue efforts began. She said her daughter Claudene had contacted her before heading out on her journey. "She says, 'We're heading out and I just wanted to tell you and dad that I love you.' And I said, 'What are you saying that for?' And she said, 'Just in case something happens,'" Christian said in a phone interview from Oklahoma. "She was truly and genuinely happy and loved the Bounty and loved what she was doing — and wanted us to know that just in case she went down with the ship." The ship's Facebook page regularly updated followers on the plan to ride out the storm. "Rest assured that the Bounty is safe and in very capable hands," it posted on Saturday. "Bounty's current voyage is a calculated decision...NOT AT ALL... irresponsible or with a lack of foresight as some have suggested. The fact of the matter is... A SHIP IS SAFER AT SEA THAN IN PORT!" The replica of HMS Bounty, which launched in Lunenburg in 1960, was made famous in a 1962 movie starring Marlon Brando — Mutiny on the Bounty. It has also appeared in Pirates of the Caribbean: Dead Man's Chest starring Johnny Depp. The Bounty operated as a sea school and was most recently in Halifax in July for the Tall Ships Festival.